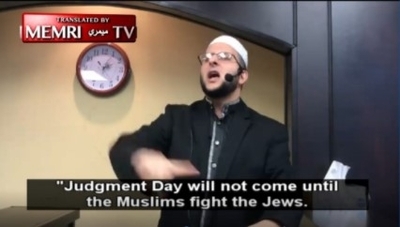 A radical imam called on Muslims to "kill the Jews" in a Friday sermon entitled, "Our Duties Towards Al-Quds (Jerusalem)." But this imam was not a spiritual leader in the Palestinian territories or a preacher with an Islamic State affiliation. This imam was preaching from the United States, alongside other U.S.-based Muslim leaders who have promoted anti-Semitism and incited violence against Jews following President Trump's Dec. 6 proclamation recognizing Jerusalem as Israel's capital. U.S.-based Muslim leaders who explicitly glorify terrorism against Jews deserve more attention in American media and political circles. 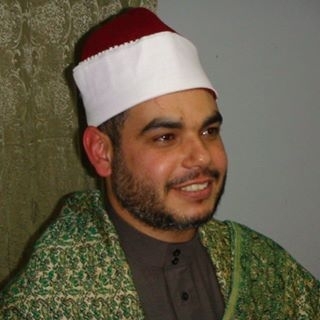 Sheikh Raed Saleh Al-Rousan, the founder of the Tajweed Institute's Houston branch, used a Dec. 8 sermon to repeat a notorious Quranic hadith that radical preachers often invoke to mobilize Muslims against Jews. "My brothers, the Prophet Muhammad brought the good tidings, when he said: 'Judgment Day will not come until the Muslims fight the Jews. The Muslims will kill the Jews, and the Jews will hide behind the stones and the trees, [which] will say: Oh Muslim, oh servant of Allah, there is a Jew hiding behind me, come and kill him'... This is the promise of Allah," Al-Rousan said in a video posted by the Tajweed Institute's social media accounts and translated by the Middle East Media Research Institute (MEMRI). During a party convention two days later, Turkish President Recep Tayyip Erdogan also invoked the same hadith used to justify killing Jews. The Tajweed Institute promotes itself as a non-profit "that strives to teach and spread the authentic knowledge of the Glorious Qur'an." Al-Rousan went on to incite Muslims to kill Jews in Israel and the territories: "The hour (Judgment Day) will not start until Muslims fight the Jews there, in Palestine." That same day, Sheikh Aymen Elkasaby from the Islamic Center of Jersey City, called for "the plunderer oppressors (Jews)" to be destroyed. "So long as the Al-Aqsa Mosque remains prisoner in the hands of the Jews... So long as the Al-Aqsa Mosque remains under the feet of the apes and pigs, this nation will remain humiliated," Elkasaby preached, adding that he wishes to achieve "martyrdom on the threshold of the Al-Aqsa Mosque." Islamic Center President Ahmed Shedeed released a statement condemning Elkasaby's radical sermon and suspended him for a month without pay, the Jersey Journal reports. Meanwhile, a Texas-based imam called for Israel's destruction in a recorded prayer posted to his Facebook page Dec. 7, according to an Investigative Project on Terrorism (IPT) translation. "Oh Allah destroy the Zionists and their allies, and those who assist them, and those who allowed them into the abodes of the Muslims. By Your Power, Oh mighty one, Oh Mighty one, through Your Power and Might, Oh Allah deflect them with what You will... Oh Allah save [Al Aqsa] from the hands of the accursed violators," Ramadan Elsabagh said, concluding with: "Oh Allah destroy them." This is not a new phenomenon. Following Palestinian violence over new security measures at Jerusalem's Al Aqsa Mosque following a terrorist attack in July, an imam at the Islamic Center of Davis in California delivered a hateful sermon filled with anti-Semitic vitriol and called for the death of all Jews. "Oh Allah, liberate the Al-Aqsa Mosque from the filth of the Jews. Oh Allah, destroy those who closed the Al-Aqsa Mosque. Oh Allah, show us the black day that You inflict upon them, and the wonders of Your ability. Oh Allah, count them one by one and annihilate them down to the very last one. Do not spare any of them," Ammar Shahin said. The Islamic Center of Davis released a statement claiming that Shahin's remarks were taken "out of context." But there is no other way to interpret the imam's sermon than a religious justification for killing Jews. Shahin later issued an apology claiming: "...I let my emotions get the best of me." On the same day as Shahin's sermon, an imam from California's Islamic Center of Riverside also incited violence against Israelis. "Oh Allah, liberate the Al-Aqsa Mosque and all the Muslim lands from the unjust tyrants and the occupiers. Oh Allah, destroy them, they are no match for You. Oh Allah, disperse them, and rend them asunder. Turn them into booty in the hands of the Muslims," preached Sheikh Mahmoud Harmoush. American Islamist groups remained silent in the wake of these sermons, and have not outright condemned the imams' behavior. It remains to be seen whether these organizations will address the most recent cases of blatant anti-Semitism and terrorist incitement. One case is an aberration. Two cases are noteworthy. This is a trend, however, that largely is going unnoticed.